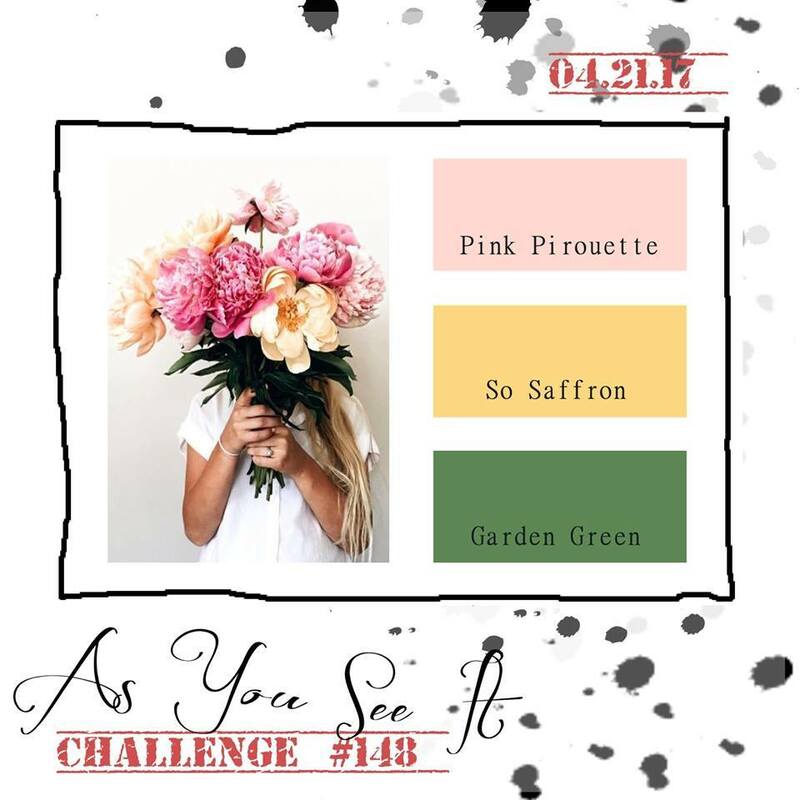 I really enjoyed myself with this challenge for my Design Team sample for As You See It Challenge #148! I always do when I get into a watercolouring project. With the retiring list coming out, it always takes me back to the Annual Catalogue and old favourites that I haven't used for a long time. 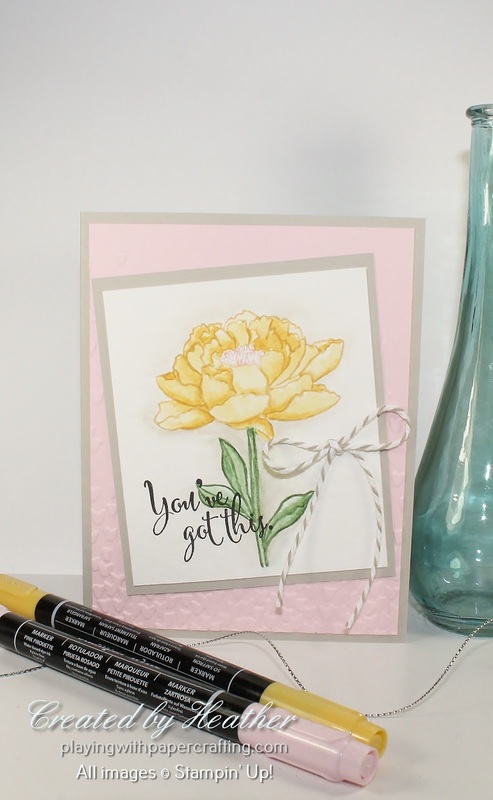 Just to be clear, this stamp set, You've Got This, is NOT retiring and will be in the new Annual Catalogue, but it is an old favourite and I haven't used it for ages! Aren't those colours dreamy together? Perfect for spring blossoms! And all these colours will be returning as well! To do this watercolouring, I tried a method that I found on Sage Kimble's blog. I inked the stamp using Stampin' Write markers of the three colours in the challenge as you see here, huffed on the stamp to remoisten any ink that had dried and stamped on watercolour paper. For this method, you should be able to use an Aqua Painter like a paintbrush by dipping it in water (as opposed to filling the well with water). 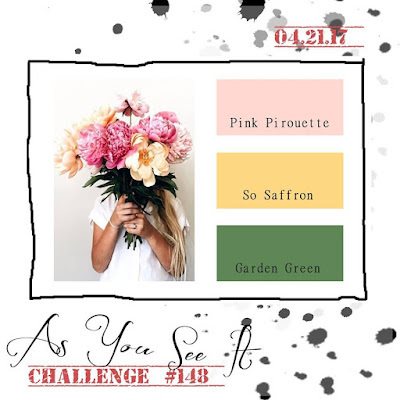 You should be able to move the ink from the lines of the stamped image to fill in the center of each section, but with the pastel colours like So Saffron, that just didn't work, perhaps because the colour was so light. 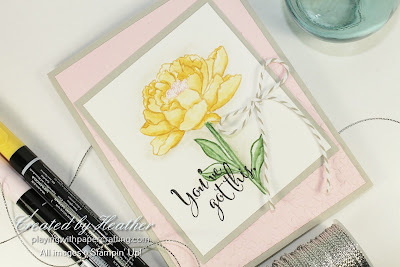 Instead, I just got some ink on the lid of the So Saffron Classic Ink Pad and used that to paint the flower petals. 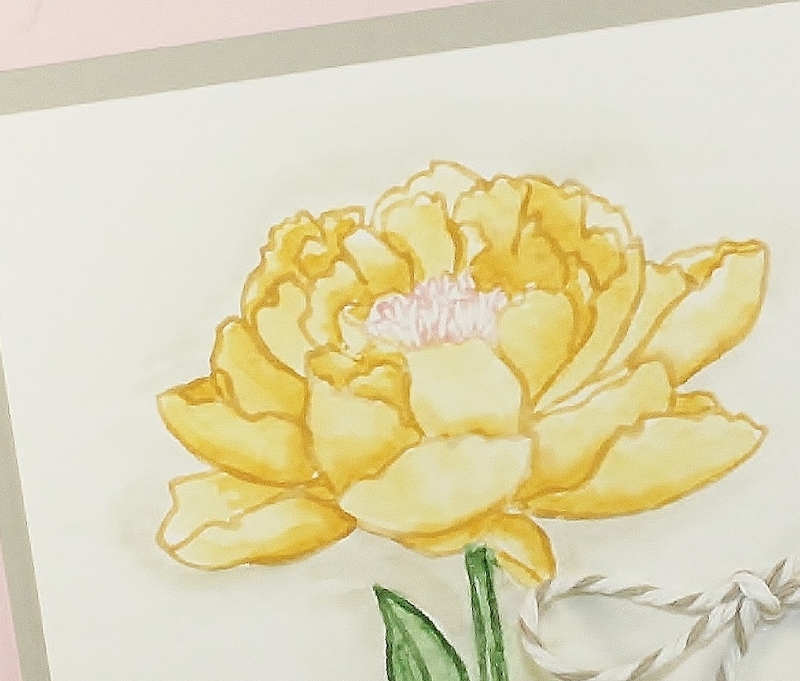 Once the first layer of colour was laid down and dried a bit, I added some more to the undersides of the petals and where the petals overlapped to give the image more depth. The leaves and stem, with the Garden Green ink worked as they were supposed to, just using the image outline to fill in the colour. I used the writing tip of the marker to go over the lines again after to add definition. After the image was watercoloured, a little background of Sahara Sand ink around the edges of the image also adds dimension. 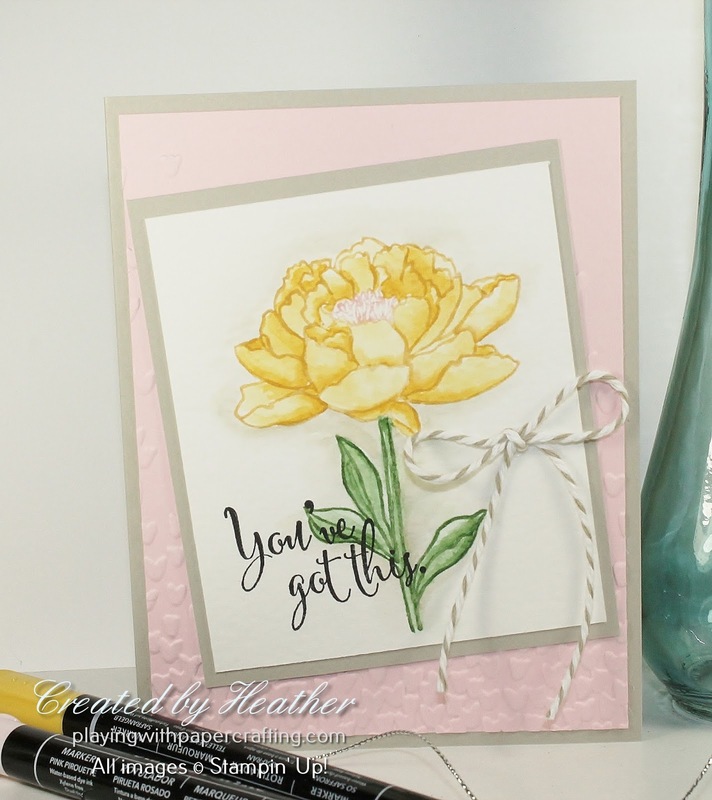 The sentiment looks great stamped in Basic Black Archival ink right over the image. The Embossing Folder used for the Pink Pirouette panel, Falling Petals, is retiring, but is a great deal right now, on sale for 50% off! I thought I'd give you an update on what has sold out from the retiring list, since it's been awhile since it was posted. * Not gone for good, just reconfigured!